Google Assistant is good at performing actions and answering questions for which there's a straightforward answer. If you give it a more open-ended query, Assistant needs to scan the internet for something relevant. Now, it'll be a little better at that thanks to a new structured data specification called "speakable." Google worked with schema.org to develop the speakable specification. These markers simply tell a robot which parts of a page are best for text-to-speech conversion. Thus, publishers will be able to use this system to tell Assistant what to read when you ask for related information. For example, you could ask what's the news on NASA. If a publisher has highlighted relevant information with speakable, then Assistant will read it off. You can also have Assistant read more news snippets, and it will send the URLs to your phone for further reading. Speakable could boost the number of queries that return useful results. Assistant is already pretty good at that, and it's getting better. According to Loop Ventures, Assistant has maintained a clear lead over Siri, Cortana, and Alexa. 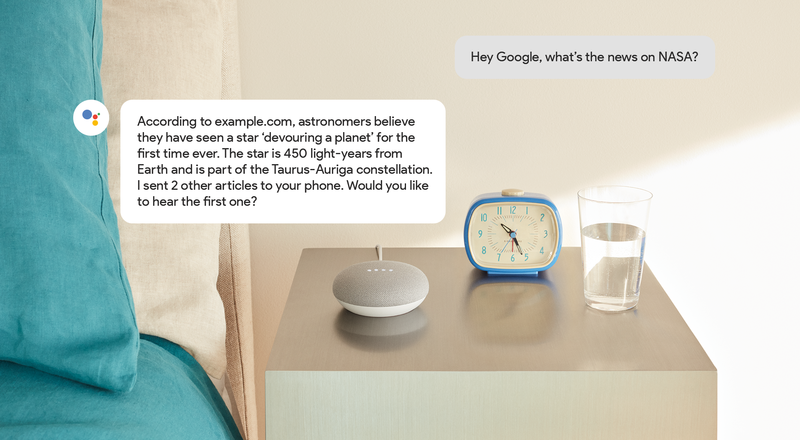 Speakable could help keep Assistant in the lead. Currently, speakable only works for those with the English-US language setting in Assistant. Publishers interested in having their speakable tags processed by Assistant need to meet the eligibility requirements and go through the publisher center to be included in Assistant searches.